The 4M series from HP wasn't all big bulky units. 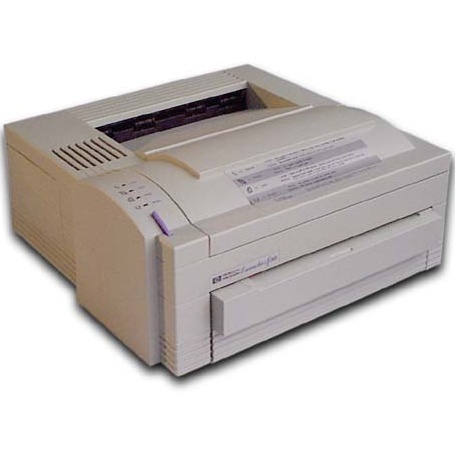 It also included small personal use printers like the HP LaserJet 4ML. These printers are equipped with the Canon PX engine (unlike the 4M and 4M plus which used the EX engine. The HP LaserJet 4ML printer has a 300 dpi print engine which means even better print resolution. It is easy on the budget and is very reliable for large print jobs, even in a small office setting. The HP 4ML laser printer even prints on different types of media including envelopes, transparencies, and labels, along with custom paper sizes. However, the LaserJet 4ML monochrome printer does not offer network compatibility and can only print 4 pages in a minute. The HP LaserJet 4ML printer requires less vertical space, with its more petite dimensions (14x14.5x6.5 inches). It is significantly lighter, at 15.5 pounds, though it has smaller paper capacity of only 100 sheets. The HP 4ML LaserJet boasts quiet operation and has parallel and Local Talk interfaces for versatile connectivity. This device even offers green features like its energy saving mode and economode, which essentially saves toner. The black HP Laserjet 4ML printer cartridge has an estimated capacity of 3,350 pages. In addition to its smaller size, the HP LaserJet 4ML mono laser printer offers better print resolution. It is more suited for personal use, but is powerful enough for small office application. The LaserJet 4ML black and white printer is configured for Mac computers and is Energy Star certified, which appeals to environmentally conscious users. The device supports a wide range of media types and sizes for different office and home applications. The HP LaserJet 4ML has several downsides, starting from its slow print rates, which average only 4 pages per minute to its incapability to print colour and network incompatibility.